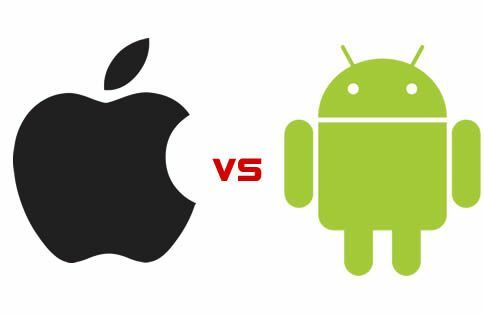 Although they are still far behind other companies like Nokia and Samsung in total mobile market share, Apple is making a name for itself in the smartphone industry. 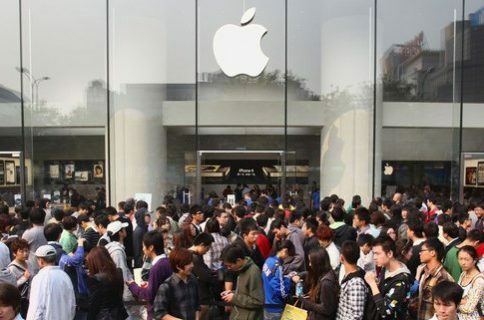 Because of its popularity, Apple’s products and sales garner a lot of speculation from marketing research firms. These companies do tons of research and conduct poles to analyze a company’s performance. This data is useful for a number of reasons, such as, guiding investors who are looking to make large stock purchases. Popular tech intelligence company comScore has done some number crunching that should give anyone contemplating Apple stock the green light. Not only did Apple gain more mobile phone market share in the last 6 months than any other company, their Verizon branded iPhone was the most acquired handset in the month of February…. comScore’s research consisted of a poll of over 30,000 U.S. mobile phone subscribers which asked them questions about their mobile phone usage over the previous 6 months. 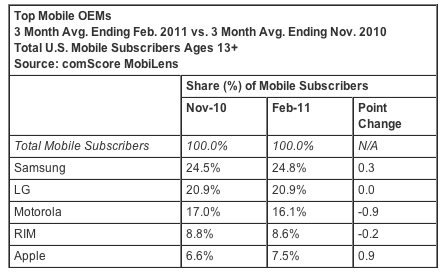 In that time frame, Apple gained more mobile subscribers than any of the other top 4 mobile phone manufacturers. You can tell the research was done in the states by the absence of Nokia. The Finnish mobile phone maker has a much bigger presence worldwide then here in America. 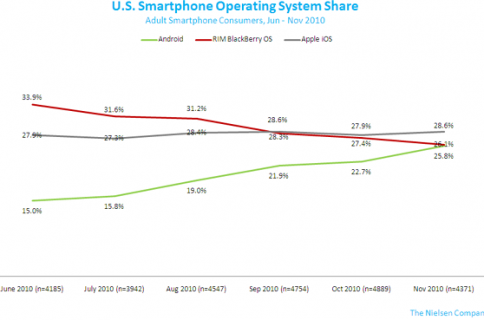 Their test results also yielded some pretty interesting Verizon iPhone statistics. Empty retail stores on launch day and reports that HTC’s Thunderbolt was outselling the iPhone at many Verizon locations have caused subpar predictions for Verizon iPhone sales. comScore’s survey seems to tell a different story. Among those that were questioned, more purchased the Verizon iPhone then any other phone on any other carrier in the month of February. Needless to say, the Verizon iPhone was a major device launch. And the results do seem to refute other claims that Verizon was embellishing initial iPhone sales when they commented that it was the most successful phone launch they had ever seen. I guess we’ll just have to wait for them to announce the actual numbers April 21st when they give their first quarter earning results. 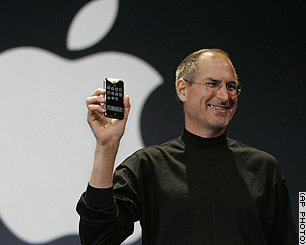 I’m just wondering, with an impending iPhone 5 delay, can Apple continue to see similar results? Several 4G Android phones are slated to hit the market this year, and for the first time since 2007, iPhone carriers might find themselves out of contract with no update in sight.